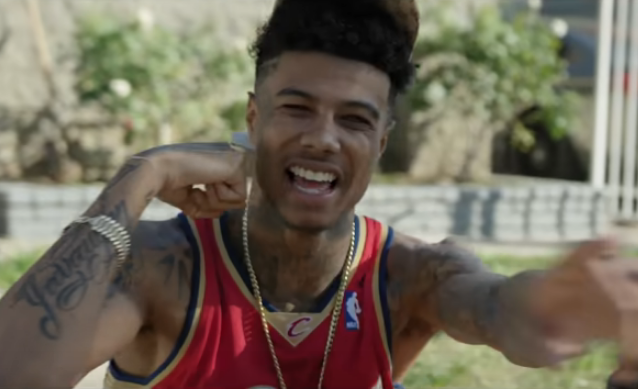 Rising Los Angeles rapper Blueface has been charged with felony gun possession, Pitchfork and The Blast report. The rapper, born Johnathan Porter, was arrested by the LAPD for carrying a loaded and unregistered handgun. The Blast reports that the rapper was arrested with two other men after approached by police while standing with a large group of people, some of whom fled and got rid of their guns. He is currently out on $35,000 bond. The charge for the felony firearms charge comes with a maximum of 3 years in prison. Porter’s next court date is set for February 27. The rapper released a remix for his viral-gone-Hot-100 hit “Thotiana” this past weekend, featuring a guest spot from Cardi B. His single “Bleed It” was recently released to rap radio, and is currently rising on the Hot R&B/Hip-Hop Songs chart. He was set to embark on a nationwide tour with Lil Baby beginning in March.